Governor of Minnesota Mark Dayton has declared every October 6 ‘Wizkid Day’ in the state as he described the Nigerian popstar as ”one of the most influential artists of our time”. This was revealed just after Wizkid became the first African artist to sell out the Skyway Theatre in Minnesota, US. Wizkid have been raising the bar for African artists ever since he signed a major deal with Sony/RCA, selling out the Royal Albert Hall, 02 Arena and more to his name. This however impressed the Governor of Minnesota. Before Wizkid, Beyonce is the only artiste who has received such distinction from the State of Minnesota. Nigeria: Building with a School collapses In Lagos. Nigeria lost $16bn to production sharing contracts —NEITI. Atiku son-in-law and lawyer has been arrested by EFCC. US congratulates Nigerians upon ‘successful vote’. Atiku to challenge presidential result in court. This list is surely going to blow your mind. Here are the awesome, are they awesome? No.. Let me take that again. Here are the extremely, out-of-the-world things Saudi princes have spent money on. “Money can’t buy you love” but it can surely buy a royal life. Well, some people take luxury to a whole new level. 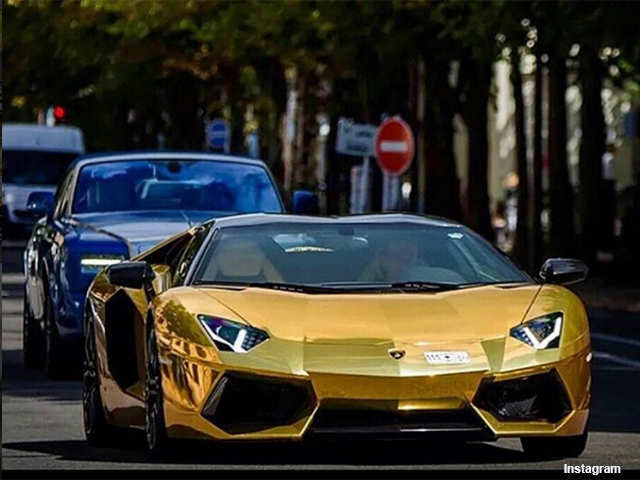 Buying a Lamborghini is itself a big deal, but what about a gold plated beast in your garage? 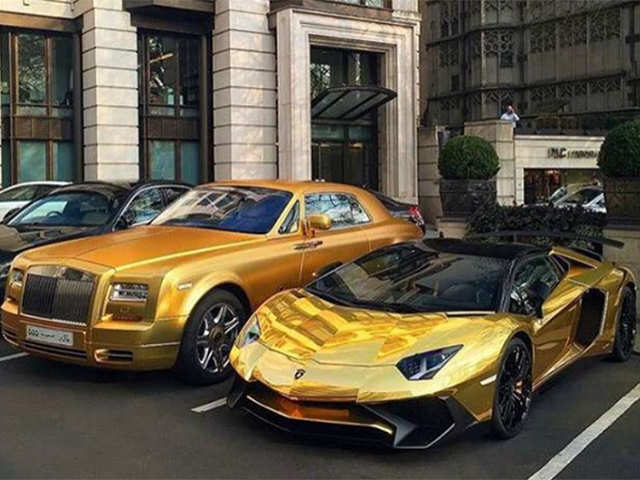 Saudi billionaire Turki Bin Abdullah has a fleet of cars – Rolls-Royce Phantom Coupe, Mercedes jeep, Lamborghini Aventador SuperVeloce and gold Bentley. All of the exotic motors are wrapped in gold vinyl, with a model for every occasion. What is the weirdest check-in baggage you have ever heard? 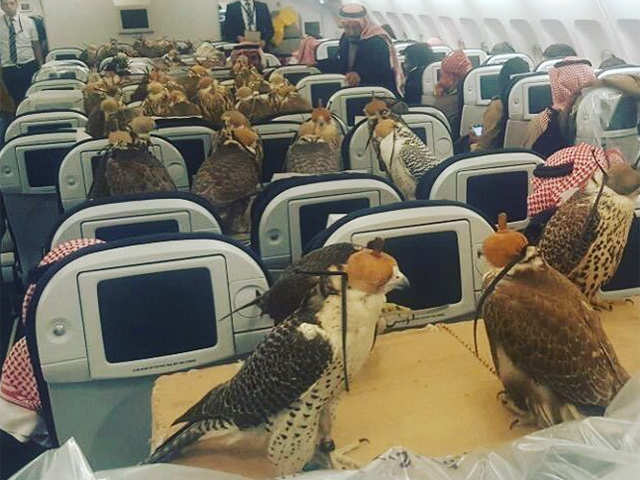 Recently Saudi prince was in the news as he booked individual seats for each of his 80 falcons. You read it right. He was flying in United Arab Emirates and the airlines took special care of the prince’s priced possessions. Bizzaro alert! 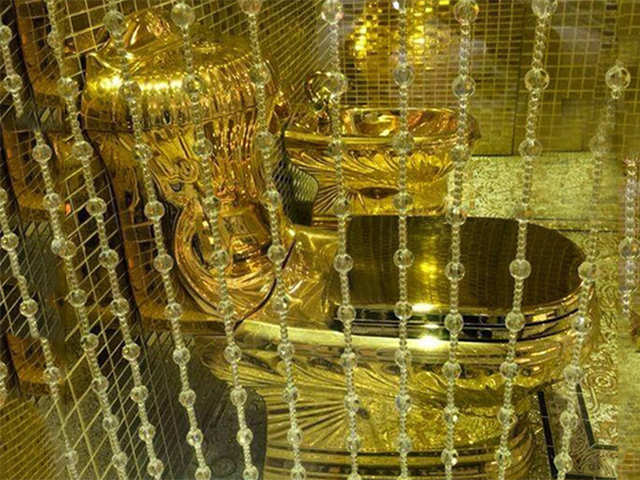 Saudi Arabia’s king Abdullah gifted a golden toilet on his daughters wedding. The toilet was completely fitted with gold furnishings including this golden commode and the golden bidet in the background. 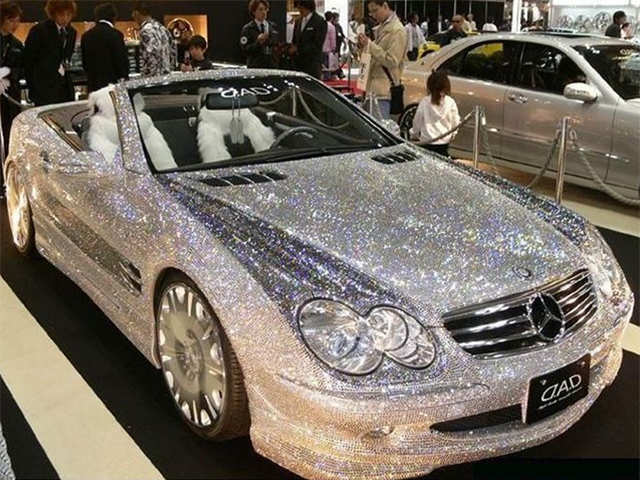 Buying a luxurious Mercedes Benz is not enough for Prince Al Talal bin Abdulaziz, so he crusted some diamond all over the car for his 38th birthday. You read it right, that’s a diamond studded car. Having a cat or dog as a pet is too mainstream, no? 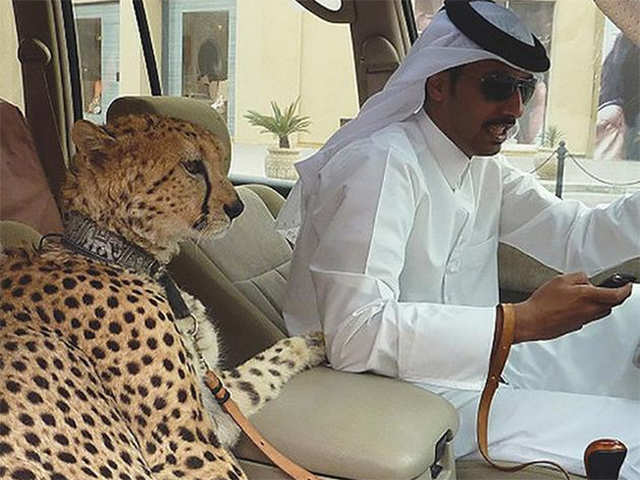 So, this guy has a pet cheetah. Exotic animals such as lions, cheetahs and tigers are regulars. Don’t be sacred if you see a lion peeking through car window in Dubai. 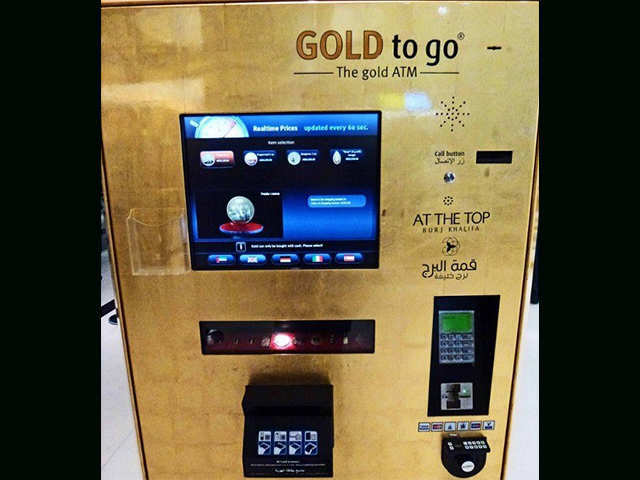 While you have to stand in a queue for hours to get a Rs 500 note, there is an ATM machine in Dubai which expenses gold bar. Reports say that an LA-based radio station would no longer bump Kodak Black songs after he made a highly insensitive comment about Lauren London, Nipsey Hussle’s longtime partner. He said he wanted to begin a relationship with her when she moved on from Nipsey Hussle in a video that started circulating on Saturday. These were his words. Hussle was shot and killed at his Los Angeles clothing store March 31. The rapper was well-known and celebrated for his humanitarian efforts. He and Lauren shared a son together in addition to creating a blended family with their children from past relationships. The suspected gunman, Eric Holder, has pleaded not guilty to a murder charge in Los Angeles Superior Court on Thursday. He also pleaded not guilty to two attempted murder charges. In response to Black’s Instagram Live comments, Power 106 FM DJ Justin Credible said his station will not play his music. Rappers The Game and T.I. also called out Black for his comments. The Shade Room reported The Game told Black and others who had negative things to say about Hussle to keep his name and London’s name out their mouths. The Shade Room reported Black ended up apologizing early Sunday. Black has his own things to be concerned about. The Associated Press reported that he is charged with first-degree criminal sexual conduct after a woman claimed he raped her after a concert in 2016.